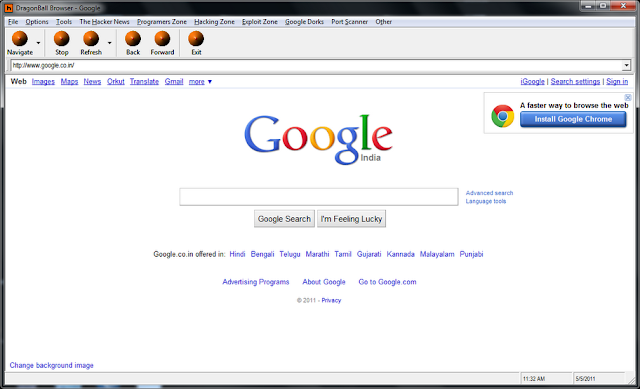 DragonBall Browser v1.0.0 ~ Browser For Hackers ! Hey everyone, this is Harsh Daftary presenting new browser made for hacker’s.. Browser purely made in vb, small yet fast browser. This includes hacking and programming zone’s and some hacking tools.. Note: Browser tested on vista and windows 7, not sure about windows xp.